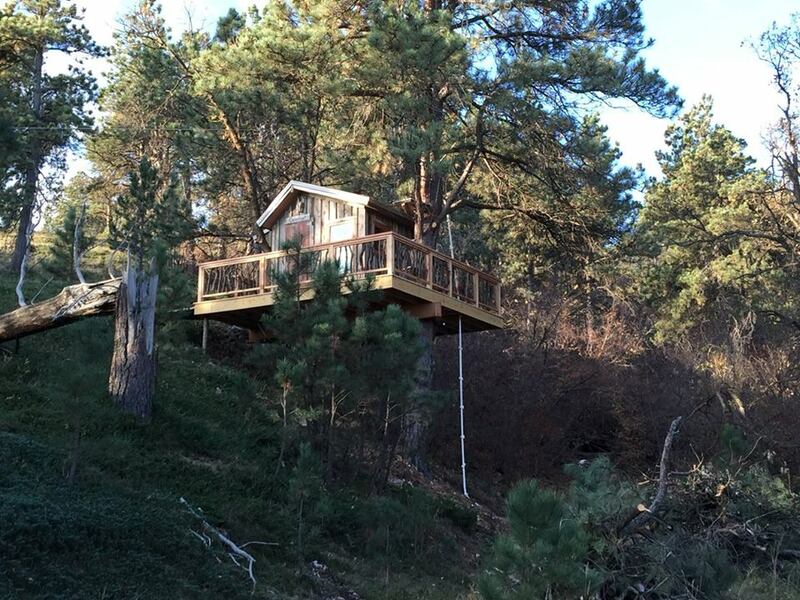 Check out this video of an epic treehouse that we build in the fall of 2015. It was a fun build, which required some technology, some natural building, and some fun (the zip line has to be tested, after all). It was also a design challenge – we had to work within the tolerance of the trees, the needs of the owner, and working 20 feet off the ground! The live edge handrail and handle were fun additions. We also used weathered wood for the board and batten exterior, and brown tin for the roof. These materials helped the treehouse blend in with the woods around it. This house is water-tight, has operational windows and door, and a wood stove – a retreat for the kids or mom and dad!